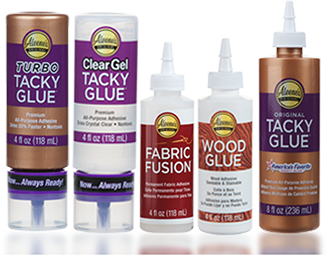 Aleene’s Original Glues - Is glue toxic? Each glue is made from different raw materials, some toxic and some not. By law, all products that contain toxic materials are required to print a caution message on all labels. To be sure if a glue is toxic, read the entire label.